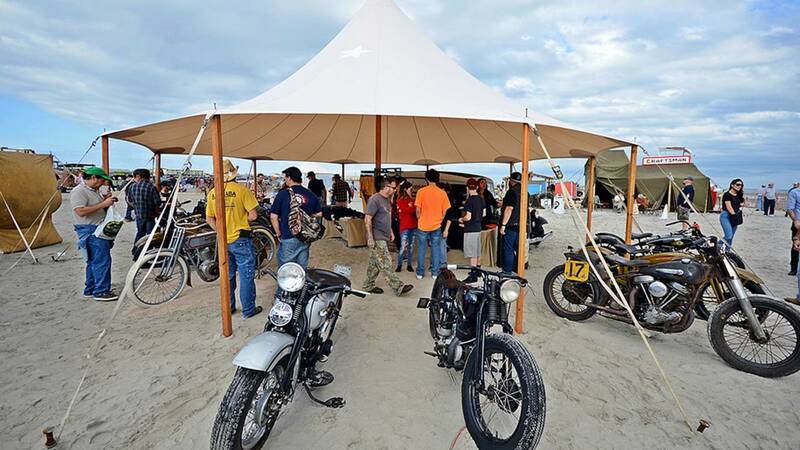 If the lure of sandy beaches and crashing surf of Wildwood, New Jersey, wasn’t enough for most people, Meldon Stultz and the Oilers Car Club have surely made the beachfront a much more interesting place. 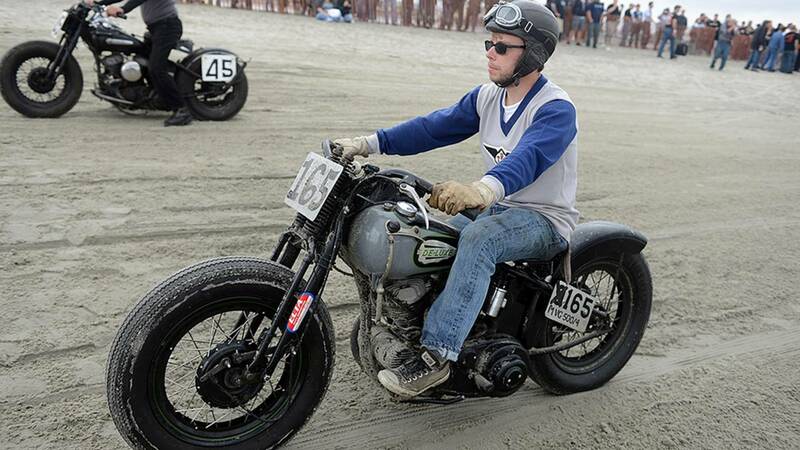 The Race of Gentlemen is a car/bike extravaganza that’s a completely different animal than the typical show that you have attended in the past. TROG is a moving party on both two and four wheels; it’s a place where static is a dirty word, and lawn chairs are not allowed. A few years back, Mel had finally had it with the typical classic car and motorcycle shows. You know the type; big rallies, usually held in oversized parking lots, where cars and bikes are parked and just ogled at. No motion, no excitement, no adrenalin. So he started putting on cool shows where the vehicles were put into gear and used for what those skilled American hands had built them for. They were run…and run hard! 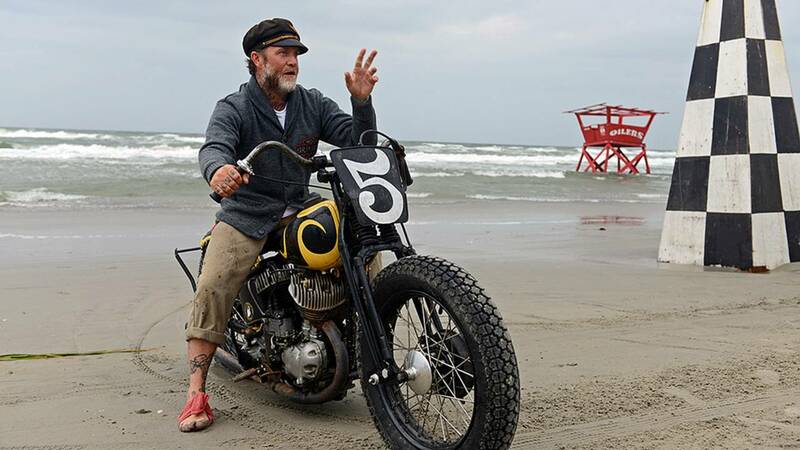 Mel wanted more than the typical parking-lot show, so joining with the Oilers, he devised a beach race that would harken back to successful events held years ago; races which were run on classic beachfronts such as Daytona and even Cape May, New Jersey, not far from Mel’s home base in Asbury Park. Allenhurst, New Jersey, a tiny municipality just north of Asbury was chosen for the first location. 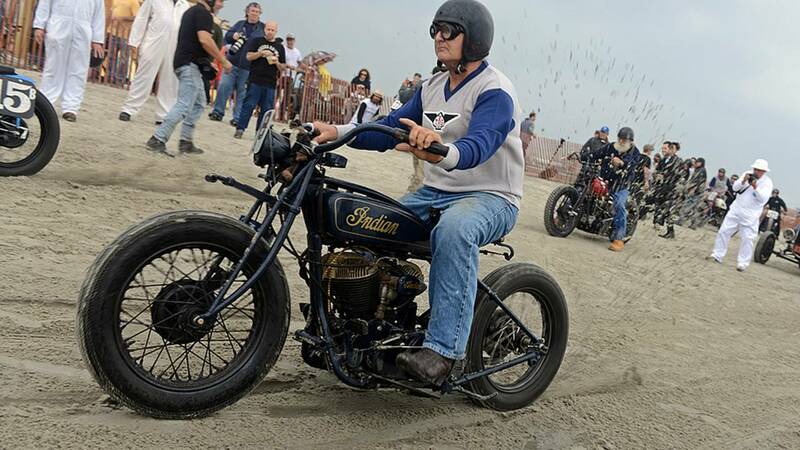 By word of mouth, social media and the H.A.M.B forum, among others, the word about the first The Race of Gentlemen spread quickly, and the race scored big, attracting spectators from all over the east coast to witness true vintage style racing. Pre-war Fords, built with flatheads and four bangers made up the 20 or so car entries, while Indians and Harleys of the same vintage built up a solid race core in the bike field. 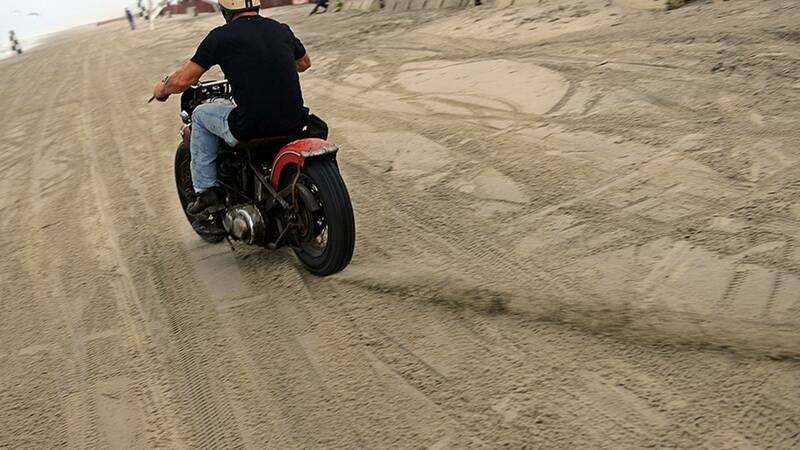 The entries raced on the thick grainy sands of the northern Jersey shore, and whipped the crowd into a frenzy. By the time the day had finished, approximately 3000 people had witnessed the inaugural event. It was an overwhelming success. Building off 2012, TROG came roaring back for 2013, with the same ingredients as last, but now with a new improved location. 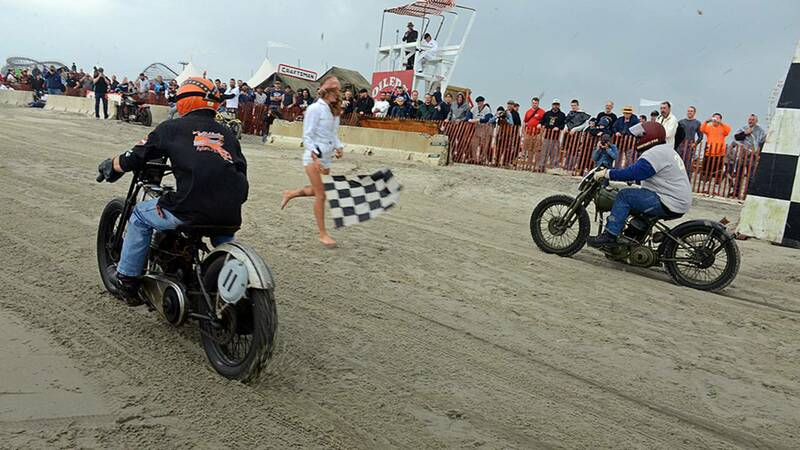 Wildwood, NJ, would be the new home for The Race of Gentlemen. And Mel couldn’t have picked a better place, as the summer beach crowds had left, and the town was there for the taking. The neon retro motels that adorn the town amplified the atmosphere tenfold, while the firm packed sands on the town extensive beachfront gave the racers the foundation for a great 1/8th mile track. Once again, the race garnered high marks for its picturesque photo op approved setting, hard racing, and motorhead friendly circus type atmosphere. 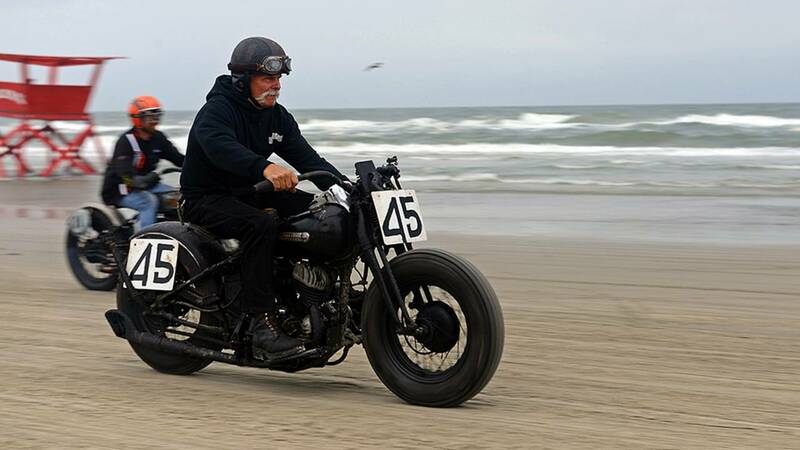 So 2014 showed once again that The Race of Gentlemen is here to stay. Entries came in from all over the country. The field was packed with period correct rides of both the two and the four wheeled persuasions. Even with inclement weather, Mel and his Oilers showed that the race had drawing power, pulling in crowds while the wind blew hard, and race pelted the fans and drivers. Once it cleared midday on Saturday, throngs of eager fans poured in and cheered their favorite drivers on to victory. 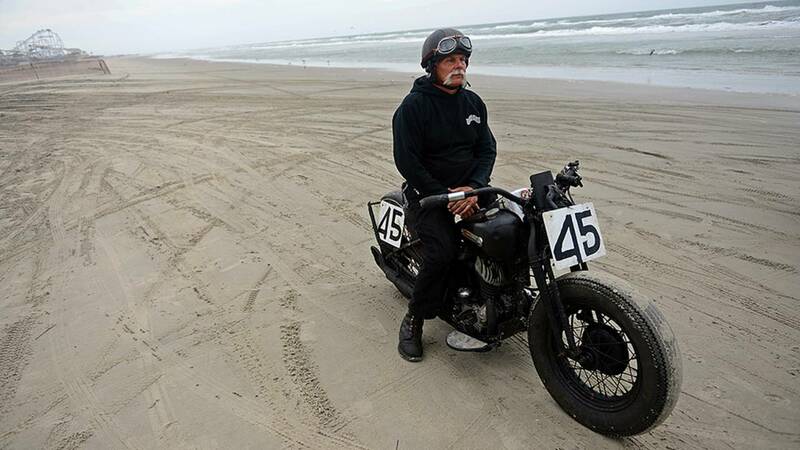 So what’s the future of The Race of Gentlemen? It looks like the series is here to stay for sure and other locations are a possibility in the coming years. This new breed of car/bike show where action is the key word is catching on, and is something you won’t want to miss. 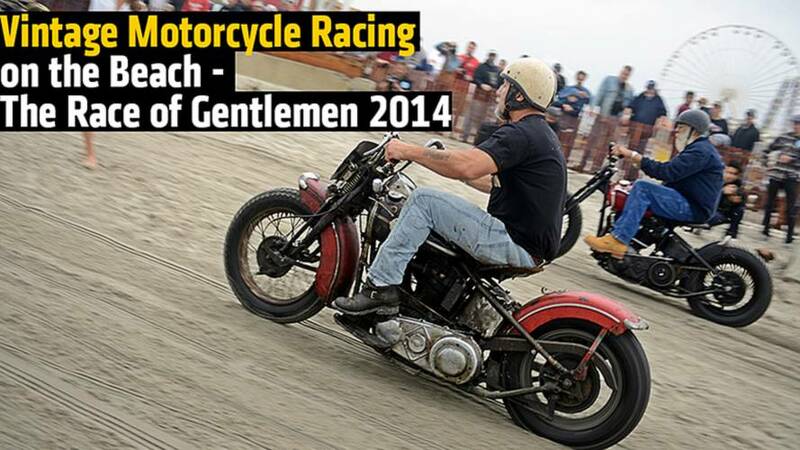 Make plans to put The Race of Gentlemen on your “To Do” list for next year… you won’t be disappointed.